Angel Direct offers a wide selection of sanctuary candle globes and stands for all budgets and needs, including 7-8 day and 14-day globes in a variety of colors, and 7-8 day and 14-day globe stands. Angel Direct also carries a large selection of table, hanging, floor and wall-mounted sanctuary candle lamps, sold with and without candle globes (see Sanctuary Lamps). Use Angel Direct’s “Shop By” filters on left side to easily shop for sanctuary candle globes and stands by type, burn time, color, brand and price, and see product pages below for additional design and size information. 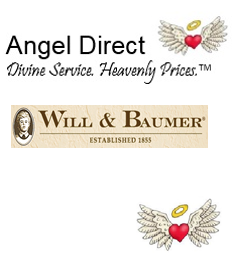 AD Heavenly ValueTM – Before placing your order, use Angel Direct’s shipping estimator (add product to cart, then select “View All”) to see our unbeatable UPS Ground shipping rates on all sanctuary candle globes, stands and lamps.